The Collegiate Dairy Products Evaluation Contest will take place on September 15, 2015, at the International Dairy Show in Chicago. It represents the culmination of student training by college professors who are experts in dairy product evaluation. A group of industry experts select the six products to be judged in each of the six categories and they evaluate them using the same attributes and scoring values taught by the coaches. 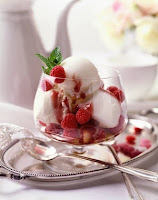 The six dairy products evaluated are: 2% fluid milk, butter, cheddar cheese, vanilla ice cream, cottage cheese and strawberry-flavored Swiss-style yogurt. During the competition, the students utilize sensory skills to evaluate the quality of the product. Teams and individuals to score closest to the expert evaluations are honored with awards. This is an annual contest among approximately 50 to 100 college students who are predominately majoring in food processing. Students typically train on the sensory aspects of dairy products for eight weeks to more than a year to prepare for the contest. As you can imagine, these students need a high level of commitment and are usually high performers within their programs. This is just one of the great reasons to get your company name out in front of these future leaders. You can learn more about the contest by linking HERE. To learn about sponsorships, which is how this nearly 100-year-old contest continues, by linking HERE. The International Dairy Foods Association (IDFA) recently filed comments with the U.S. Departments of Agriculture and Health and Human Services requesting that the 2015 Dietary Guidelines for Americans, which will be issued later this year, encourage flexible eating patterns based on nutrient-dense foods, including dairy foods. Because dairy foods provide nutrients that are under-consumed by most Americans and are associated with numerous health benefits, IDFA called for the Dietary Guidelines to encourage Americans to eat or drink one more serving of dairy each day. To read a summary of IDFA’s comments, link HERE. To read IDFA’s complete comments, link HERE. 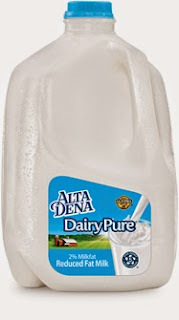 A key take-away in my eyes is that consumers need more dairy-based beverage choices, because let’s face it, they are not pouring more white milk. The fact is, although per capita consumption of fluid milk has been declining for more than 40 years, the use of dairy ingredients in all types of beverages continues to grow. This is in part due to dairy’s healthful halo, as many of the ingredients contribute protein and essential vitamins and minerals, most notably calcium. I recently wrote a beverage formulating and trends article for Food Business News entitled “Beyond Milk: Dairy Ingredient Trends.” You can access it HERE. Depending on the beverage and the production process, either fresh fluid dairy, such as milk and cream, or concentrated dry dairy ingredients may be used. 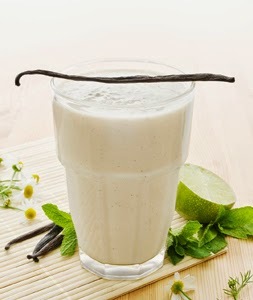 There are a number of considerations that need to be taken into account when formulating and processing such beverages. For starters, almost always these products require some stabilization and texture modification, which is often achieved through the use of hydrocolloids. To read an article I recently wrote for Food Business News entitled “Hydrocolloids: Managing Moisture and More” in dairy products, link HERE. To watch a video about how gums can assist with stabilizing dairy based beverages, link HERE. Here are 7 innovative dairy-based beverages designed to keep consumers drinking dairy. The Borden Dairy Company delivers the taste of Mexico to the U.S. with new imported LaLa Frutas dairy and fruit beverages. The first offering arrived on retailers’ shelves this past March in Southern California. The products will be available to Texas consumers later this year. The company cites Nielsen research stating that 50% of consumers don’t prefer plain milk. With LaLa Frutas, an innovative mix of acidified low-fat milk and fruit, adults and children can more easily get their daily dose of dairy. LaLa Frutas come in Mango and Strawberry flavors. An 8-ounce serving contains 180 calories, 3 grams of fat and 4 grams of protein. The drinks start with a base of cultured reduced-fat milk. Fruit puree stays in suspension through the innovative use of hydrocolloids. For more information, link HERE. 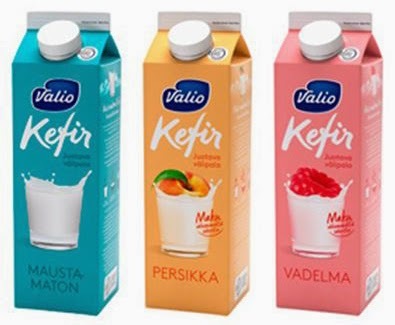 Valio, Finland’s largest dairy processor, has introduced what it describes as a softer- and milder-tasting kefir product to better suit the palate of the Finnish consumer. 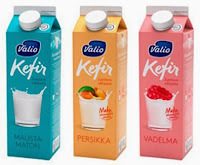 New Valio Kefir LGG comes in Natural, Peach and Raspberry varieties. Kefir is traditionally made using kefir grains, which is a combination of live bacteria and yeast. To obtain a milder flavor but still maintain kefir’s characteristic effervescence, the company is using a proprietary strain of dairy cultures along with its probiotic Lactobacillus rhamnosus GG. The beverage is being marketed as a drinkable snack. For more information, link HERE. B’more Organic is a line of creamy Icelandic-style skyr smoothies loaded with protein and probiotics and naturally very low in sugar. They are also free from fat, lactose and GMOs and made with organic grass-fed cows milk. There are five flavors: Banana, Café Latte, Mango Banana, Vanilla and newly launched Strawberry. Available in retail markets across the eastern U.S., the product line recently began distribution on the campus of the University of Maryland. B’more Organic is designed as a quick grab-and-go beverage for hectic lifestyles, especially long days on campus. For added motivation, the Caffe Latte variety provides 160 milligrams of caffeine. Organic stevia keeps the sugar content at 6 grams per 8-ounce serving. (Each bottle contains two servings.) A serving also delivers 23 grams of protein and 118 to 130 calories, depending on variety, For more information, link HERE. In March, Starbucks Doubleshot Coffee & Protein Beverage debuted in three varieties: Coffee, Dark Chocolate and Vanilla Bean. Sold in sleek 11-fluid-ounce cans, the drinks start with a base of brewed Starbucks coffee to which four dairy ingredients are added (reduced-fat milk, skim milk, milk protein concentrate and calcium caseinate). This combo provides 20 grams of protein per can. Hydrocolloids keep the beverage smooth while monk fruit extract and chicory root fiber keep added sugars down. The latter also delivers 2 grams of fiber per serving. Tea is the new coffee, or at least that’s the buzz in the beverage world. Hain Celestial now offers four on-trend flavors of ready-to-drink, shelf-stable Celestial Lattes. The flavors are described as being inspired by the “secret menus” at the world’s best coffeehouses. 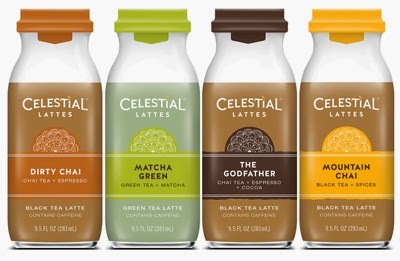 Made with 2% milk and sweetened with pure cane sugar, Celestial Lattes provide barista-quality beverages brimming with the goodness of real brewed tea. Consumer demand is growing for coffeehouse-style beverages that have the healthfulness of tea without sacrificing exciting new flavors, according to the company. Innovative tea lattes satisfy this demand and provide the convenience factor these consumers expect. 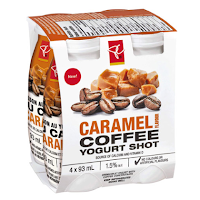 In Canada, the President’s Choice brand is debuting Coffee Yogurt Shots. Sold in packs of four 93-milliliter shots, this drink provides a better-for-you option to other energy shots in the marketplace. 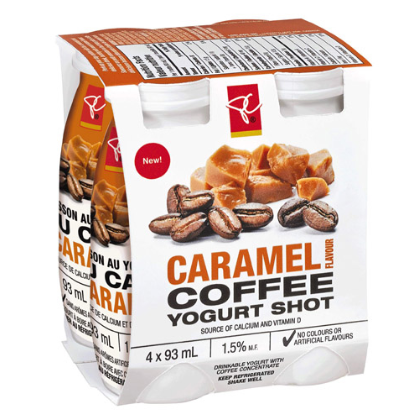 Sold refrigerated, the shots are made with 1.5% fat yogurt and coffee. There are two varieties: Caramel and Espresso. One shot contains 80 calories, 3 grams of protein, vitamins and minerals and the caffeine equivalent to 100 milliliters of brewed coffee. Dairy ingredients are even making their way into energy drinks to help improve their healthfulness. Rockstar Inc., recently introduced non-carbonated Rockstar Energy Horchata Dairy Beverage. Made with whole milk and nonfat milk, the drink gets energized from the brand’s proprietary energy blend of caffeine, ginseng, guarana, inositol, L-carnitine and taurine. Times have changed. Best-business practices must change as well in order to not just survive, but also to thrive. This is paramount in today’s competitive business environment. 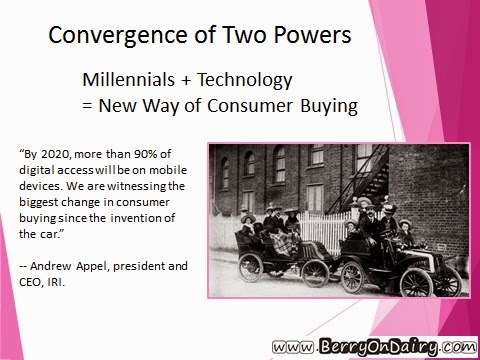 I explained to conference attendees that the food and beverage business is experiencing a convergence of two strong powers: millennials and technology. As these two come together, their powers gain force. In fact, according to Andrew Appel, president and CEO of IRI, we are witnessing the biggest change in consumer buying since the invention of the car. Think about it. When households got a car, mom no longer was limited to shopping for groceries at the neighborhood store. She could shop multiple stores and had access to more brands and varieties. The competition began. The competition is now greater. The growing and very powerful millennial demographic is using technology to shop for everything, including dairy foods. The way you need to do business is not the way daddy did it. It’s time to get on board for the new marketplace. My colleague Keith Nunes at Food Business News wrote “Millennials driving shift in buying habits.” I highly encourage you to read it HERE. It has never been more important to be 1) transparent, 2) clean label and 3) valuable. These are the three tactics to help you sell more dairy foods to technology-savvy millennials. 1) Tell consumers that all milk is tested for antibiotics, as well as other real facts about dairy. Be TRANSPARENT. The truth about antibiotics is that if any are found in milk, FDA requires that the milk be rejected for human consumption. This is true for all milk sold or processed in the U.S.
Wakefield Research conducted a consumer survey of 1,000 nationally representative U.S. adults. Data showed 82% of American parents said they would make a separate trip to the store if they ran out of milk. The same survey found that most American parents (71%) are concerned with the quality of the milk they serve their children. Let’s face it, most fluid milk processors follow these five principles and more. But they have not taken the time to communicate this to consumers. There are other truths about milk that the industry needs to do a better job of communicating to consumers. They are identified in MilkPEP’s campaign Get Real, which debuted earlier this year. You can find out more HERE. The point is, TRANSPARENCY is paramount. It’s not your daddy’s dairy anymore and it is necessary in this technology-driven age to be up front with the facts. Speculation can be dangerous. Kudos to my friends at Blue Bell Creameries for being very transparent with communicating the company’s product recall and the actions the company is taking to rectify the situation. You can read the most recent update HERE. 2) Watch out for more “unacceptable ingredient” lists. Whole Foods Market has long had one, and now so does Panera Bread. This week, the bakery-café chain issued a list of ingredients it will no longer allow to be in foods and beverages on the menu (by the end of 2016). The “no-no list,” as the company calls it, contains artificial colors, flavors, sweeteners and preservatives, as well as other varied ingredients. What’s interesting is that the two lists, both of which include a disclaimer stating that banned ingredients are not limited to the list, are different. For example, Whole Foods’ list does not specify titanium dioxide, which is used as a whitening agent. Panera’s list does. Panera’s list also includes lard and caramel color (classes II, III and IV). Whole Foods’ list does not. The point here is it is critical to make CLEAN LABEL a goal. More of these no-no lists are inevitable. It’s better to be proactive then reactive. 3) Do not devalue your product. 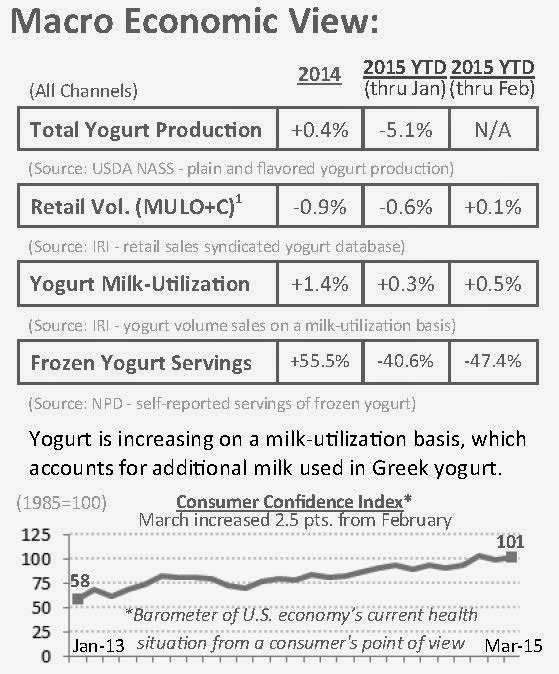 When I discussed in last week’s blog, which can be accessed HERE, the leveling off of Greek yogurt sales, a friend of mine at the Midwest Dairy Association was quick to point out that the reason this is happening is because manufacturers have been commoditizing it. The value is gone…for consumers, retailers and the manufacturers. We need to stop the madness. I shopped Meijer last weekend and Chobani was not only on sale for 88 cents, the store offered a downloadable manufacturer's coupon to save one dollar off three. (I am a crazy coupon lady!) This brought the purchase price down to about 55 cents each. This will never fly with millennials. They do not want big box. They do not want commodities. They like artisan, specialty, hand-crafted and value added. They do not want to buy the same products that the crazy coupon lady buys. Do not devalue your product. In fact, ADDING VALUE is a great approach. Marketing the protein content of dairy foods is the first step. Adding extra goodies—nutritional or just yummy—is the next. For example, have you heard fiber is the new protein? Well, not exactly. Fiber is not going to replace protein as the on-trend nutrient, but I have read in more than one place that fiber is expected to be the next really big positive nutrient. Another force: all the protein everyone is consuming is causing a bit of a backup in some folks. Fiber to the rescue. Finally, the Dietary Guidelines for Americans 2015 are expected to emphasize increased intake of fiber. Dairy foods are ideal carriers for value-added ingredients such as fiber. Remember these three tactics to help you sell more dairy foods to technology-savvy millennials. Be transparent. Formulate clean label. Add value; do not devalue. 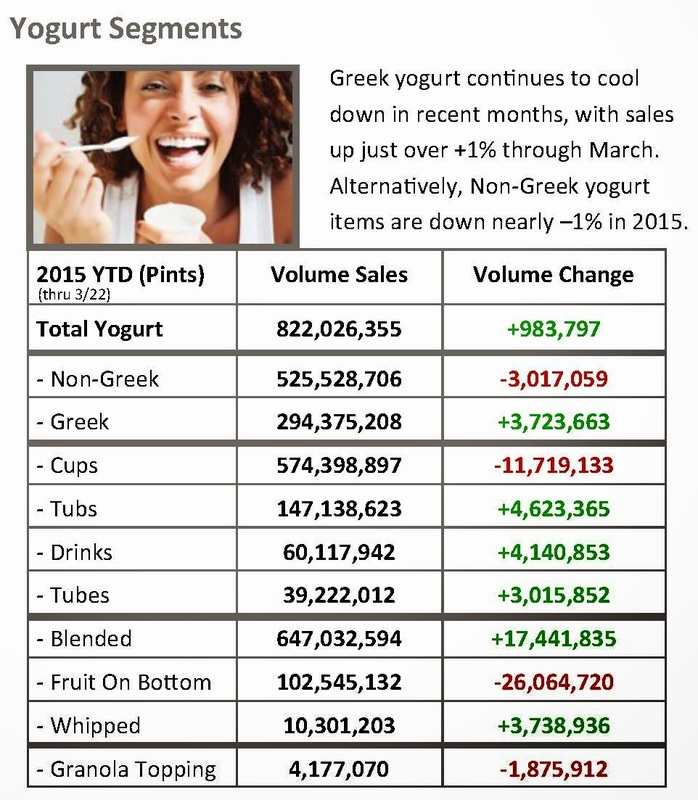 Greek yogurt sales are flattening according to data from the IRI DMI Custom Database, which was provided courtesy of Midwest Dairy Association. The word on the street is that hummus, in its many flavors and snacking formats, will be the next big thing. Makes sense…it complements the plant-based diet recommendations from the 2015 Dietary Guidelines Advisory Committee. It’s also low in carbs and high in protein and healthful fats, the dietary platform many consumers are currently following. The dairy industry had to know this time would come, as consumers tire easily. 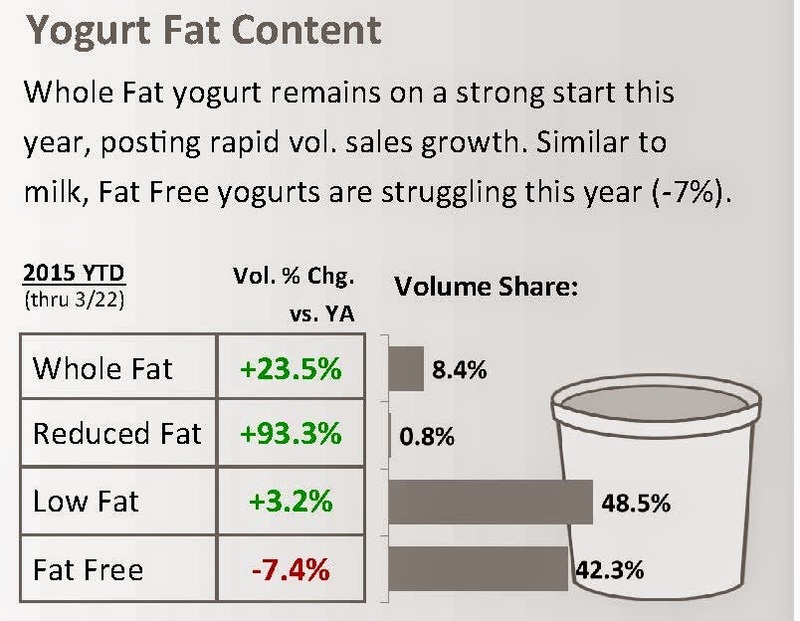 This is not to say Greek yogurt is going away, but if yogurt marketers want to experience continued sales growth, they are going to have to innovate to keep consumers interested. Don’t believe me? Then read what Michael Gonda, vice president of communications at Chobani, has to say. My colleague, Monica Watrous, at Food Business News conducted a very insightful interview with him regarding Chobani’s plans to reach new consumers through innovative Greek yogurt products. You can read the article HERE. I’ve been keeping my pulse on the global refrigerated yogurt category and have identified five opportunities for innovation. Here they are. In case you have not heard, USDA approved Greek yogurt to be available for U.S. students to purchase through their school lunch programs starting in fall 2015. Senator Chuck Schumer (D-NY) said in a statement that the inclusion of Greek yogurt in school lunches “will increase demand for Greek yogurt across the country, while at the same time providing another healthy food option in the lunchroom.” This is true…but, let’s be proactive and learn from the milk category. What do I mean? Make the yogurt cartons kid friendly! Don’t sit back and expect the yogurt to sell itself. Kid-friendly flavors, eye-catching graphics, contests, fun facts, the list goes on…create a product and a package that appeals to this student demographic. This might require a different line for middle school and high school, maybe even different products and packages designed to appeal to males and females. How about playing up the muscle-building power of dairy proteins to appeal to high school athletes? There is so much opportunity here to grow the business. We cannot blow it. 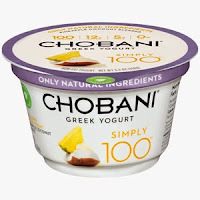 If you want to read more about Greek yogurt’s approval on the school lunch program, link HERE. Also in foodservice, have you noticed how more breakfast bars and buffets are starting to serve large bowls of plain Greek yogurt with toppings instead of single-serve containers? Make sure you are offering a foodservice-size yogurt. I’ve written many times about the pouch package and how it is not just for kids’ yogurt. This package is an ideal format for high-protein cultured dairy snacks for on-the-go adults. There’s a great deal of opportunity for innovative products delivered via the pouch. Read “Appreciating Dairy Packaging; the Potential of the Pouch” HERE. 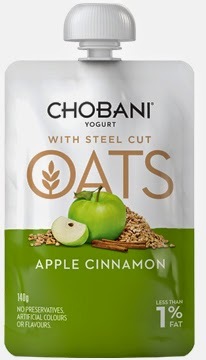 In Australia, Chobani offers its regular Greek yogurt and now its Oats products in the pouch. Both are targeted to all consumers, with the Oats product in flavors more suited to adult palates. 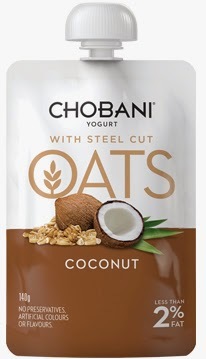 Chobani Greek Yogurt Oats bridges the breakfast gap between yogurt and oats. Each 140-gram pouch contains 10 grams of protein and 3 grams of fiber from gluten-free steel-cut oats and added oat fiber. There are four varieties: Apple Cinnamon, Banana Maple, Coconut and Cranberry. Those added oats…that’s the third opportunity. Blending yogurt—Greek or traditional—with whole grains, nuts and seeds--everything from flax and oats to chia and quinoa--transforms yogurt into a hearty meal. Epicurean Dairy in New Zealand now offers yogurt and chia and yogurt and granola under The Collective Great Dairy brand. The chia line includes: Berries & Chia; Coconut Lime & Chia; Date, Cacao & Chia; Mango & Chia and Manuka Honey & Chia. The granola line has a sub-brand of Tummy Love, as it’s loaded with prebiotics and probiotics. It comes in Apricot and Blueberry variants. These additions feed into the texture trend. Millennials are the texture generation. They are into experiencing multi-sensory sensations, which means it’s not enough to taste good, the product must provide oral pleasure. 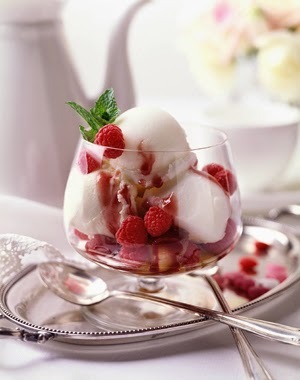 Crunchy, chunky, chewy…texture adds an extra dimension to yogurt, a product traditionally considered smooth and creamy. 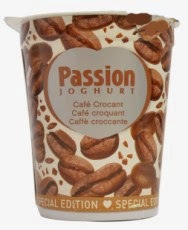 The Swiss retail chain Migros recently introduced private-label, limited-edition Passion Crunchy Coffee Yogurt. This unique yogurt not only is flavored with real liquid coffee extract, it contains 2.5% coffee chips. In select European markets, Danone now offers a dual-compartment yogurt with candies in the smaller side and layered yogurt and candy sauce in the other. 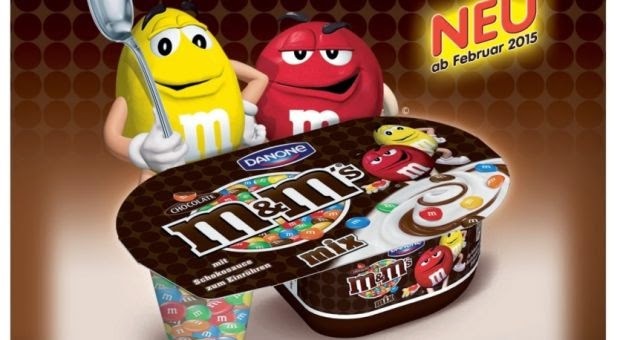 The M&M’s version has chocolate sauce while the Twix variant has caramel sauce. In case you have not heard, milkfat is no longer the enemy. In fact, research indicates that dairy fats are actually good-for-the-body fats. Of course, as with anything, they should be consumed in moderation. I recently wrote a column for Food Business News entitled “Scientifically based nutrition advice: Eat butter, meat and cheese.” It includes an interview with Nina Teicholz, author of the New York Times bestseller The Big Fat Surprise-Why Butter, Meat & Cheese Belong in a Healthy Diet. You can read the column HERE. It should be no surprise that whole milk yogurt is outselling fat-free yogurt these days, as it simply tastes better. And taste is paramount, especially with millennials. To read more about how millennials like good and good-tasting food, link HERE. To read about more cultured dairy product trends, link HERE. Don’t forget to mark your calendar for the Milk and Cultured Dairy Products Conference, which will be held May 19 to 20 in Minneapolis. For more info, link HERE. Hope to see you there!